Media images are available only to authorized news media representatives. 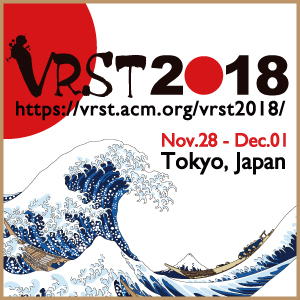 Reproduction of these images is limited to news coverage of ACM SIGGRAPH or the SIGGRAPH Asia 2018 conference and, unless specific image credit/copyright information is cited, requires that the publisher credit the artist and ACM SIGGRAPH or SIGGRAPH Asia 2018 as the sources of the material. Approved, high-resolution images from the Conference Programs will be available in due time. For more information, please contact the SIGGRAPH Asia 2018 Press Office. Click here to access the high resolution on-site photos taken at SIGGRAPH Asia 2017. We have also compiled a photo highlights pdf here.